Motorhome registrations filed in June jumped 29.6%, and for the first half of 2013 they were up 30.9%, according to the latest report from Statistical Surveys Inc. (SSI). Thor Industries Inc. was first in year-to-date motorhome registrations with a 25% market share, followed by Winnebago Industries, Inc. (18.1%), Forest River, Inc. (12.8%), and Forest River’s Coachmen RV division (12.2%). June sales in the Class A category were 31.3% than in June 2012 and were up 30.3% for the six months. Thor led the category through June, with a 21.8% market share, just over Winnebago, at 20.5%. 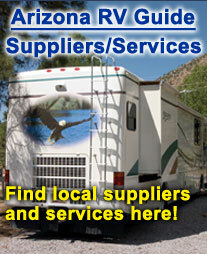 Tiffin Motorhomes, Inc. was third, at 18%, then Fleetwood RV, Inc. at a 12.7% share. Class C sales gained 27.7% for the month and 31.6% year-to-date. Thor led the category for the six months with a 28.5% market share, followed by Coachmen RV (19%), Forest River (17.9%), and Winnebago (15.5%). Rental registrations, primarily Class C sales, gained 11% in June.